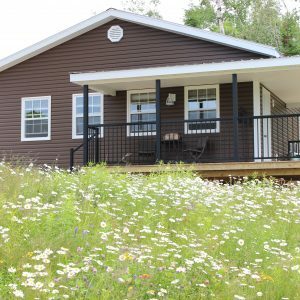 Choose your home-away-from-home from our seven cottages with style spread over 15 acres overlooking the majestic Saint John River. Each one has its own personality. From floor to roof each little home has been beautifully crafted and lovingly decorated. Each cottage will wow you with its gracious style. 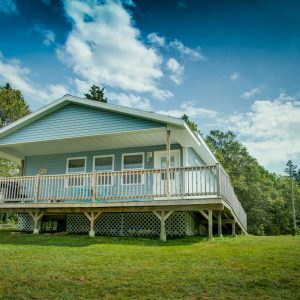 These open aired two-bedroom cottages have full bathrooms, are traditionally furnished, and fully equipped with all the essentials of home. The quality and cleanliness are impeccable. We are located just 20 minutes from Saint John city center. Drive aboard the 5-minute free cable ferry to the beautiful Kingston Peninsula. A 2 KM drive brings you straight to our country paradise. Come awake with the beauty of the morning. 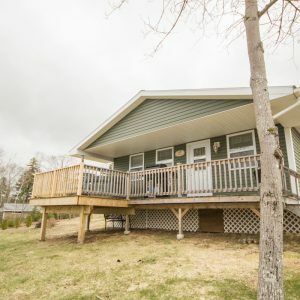 Open the door on the covered deck and absorb the panoramic view while you watch the sun come up. Sit back and watch the boats sailing by on the river. You will find yourself in awe of the river view disguising itself from time to time through a romantic fog; a shimmering haze only to unfold into a clear blue day. Gaze upon the luxurious hills all around you and wait to catch a glimpse of that eagle soaring high above. Enjoy the sounds of nature and take in the music of the land. It’s a perfect place for the nature enthusiast. 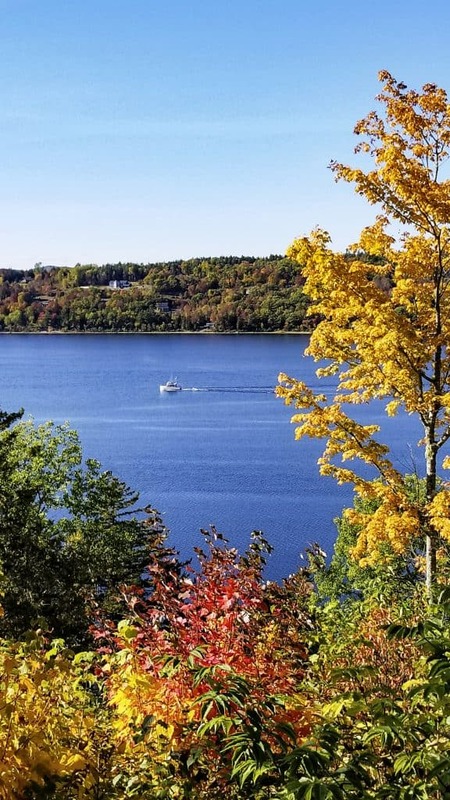 Guests have experienced countless sightings of eagles, hawks, pileated woodpeckers, along with occasional sightings of gracious deer and other small animals. Nestled next door to us is Crystal Beach. 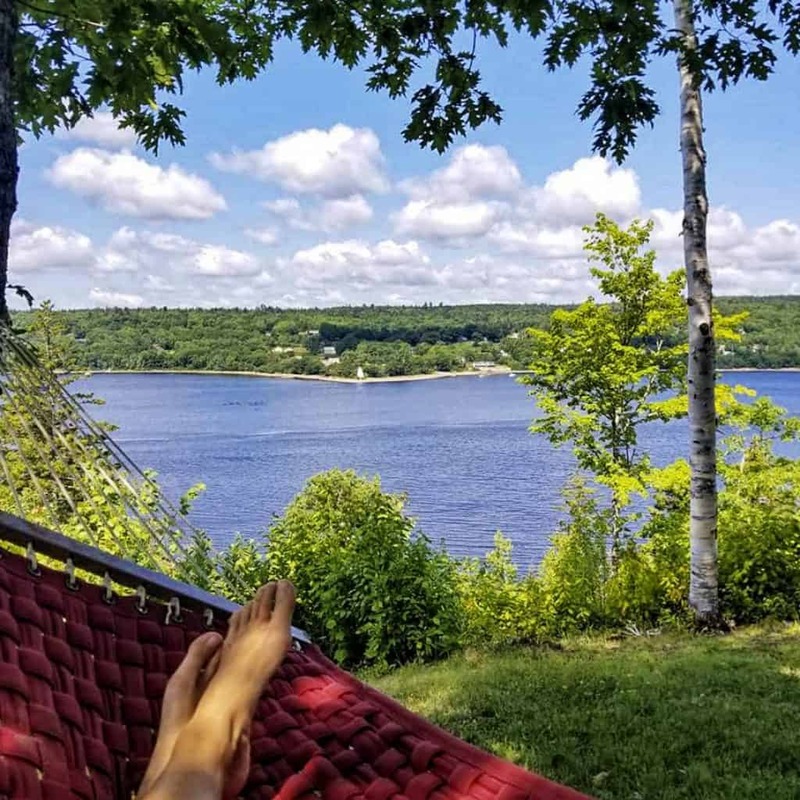 Cottagers can walk the beach, build a sand castle, skip a rock, swim, or go kayaking in the Saint John River. Enjoy the scenery and the landscape that are sure to take your breath away. Take the opportunity to curl up on the sofa and enjoy the warm glow of the burning fire and find your happy place. For a romantic evening, you will not want to miss the chance to snuggle deep into our hot tubs on a moonlit evening. Watch the stars and grab the tranquil moments that belong to you now and become treasured memories forever. Enjoy the evening around an inviting private bonfire pit. Listen to the crackling fire or watch the glowing embers. Tell a story or gaze the stars that blanked the night sky far from the city lights. Toast marshmallows or dance with the fire. Embrace the night. Drive the country roads and visit a winery, a museum, the farmers market or a local country vegetable/ice cream store. Enjoy lighthouses, fields, and the dusty roads. Perhaps go fishing, sightseeing, or drive through one of New Brunswick’s few remaining covered bridges. 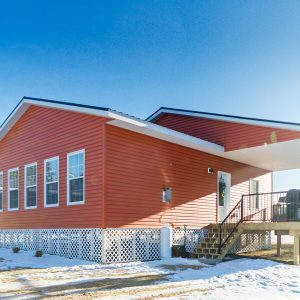 The property offers a play area for children, a volleyball net for the entire family and numerous yard games such as horseshoes, giant Yahtzee and more! This outdoor play promises to bring families laughter and fun. We offer laundry facilities which include a coin operated washer and dryer. There are two laundry buildings on site for your convenience. 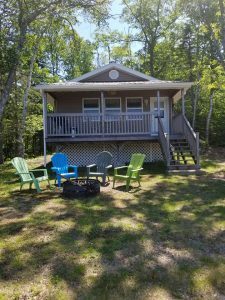 Wi-Fi is available in every cottage for those who wish to stay connected to the outside world. All cottages are set up with satellite TV. Cuddle up and make it a movie night or stay connected with the daily news. Our cottages are a family owned business. We are here to make your stay an experience where every minute matters; where you feel rejuvenated, comfortable, cozy and warm. Relaxed. Where you will forget the hustle and bustle and live for the moment, the day. 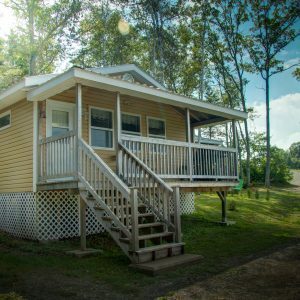 Every cottage has its own story. Come make a story with us. The Hummingbird has the most spectacular view both up and down the Saint John River. 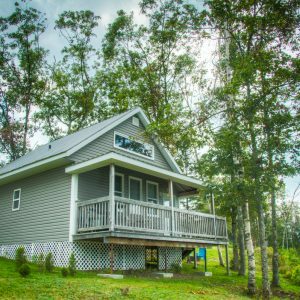 While enjoying the hot tub on the front covered deck, take in the breathtaking eagle eye view of both the river and land.